Coalition - ﻿ HOW MUCH IS TOO MUCH? How much alcohol is too much? It could mean drinking too much at one time, drinking too often, or both. It’s important to be aware of how much you are drinking, whether your drinking pattern is risky, the harm that some drinking patterns can cause, and ways to reduce your risks. ﻿ HOW MUCH IS TOO MUCH? How much alcohol is too much? It could mean drinking too much at one time, drinking too often, or both. It’s important to be aware of how much you are drinking, whether your drinking pattern is risky, the harm that some drinking patterns can cause, and ways to reduce your risks. Keep track. Keep track of how much you drink. Find a way that works for you, carry drinking tracker cards in your wallet, make check marks on a kitchen calendar, or enter notes in a mobile phone notepad or personal digital assistant. Making note of each drink before you drink it may help you slow down when needed. Set goals. Decide how many days a week you want to drink and how many drinks you'll have on those days. It's a good idea to have some days when you don't drink. 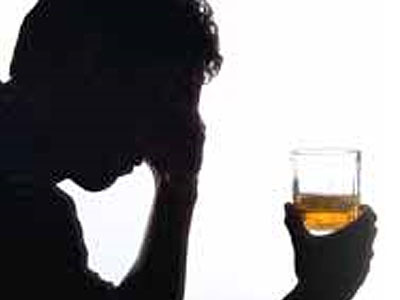 Drinkers with the lowest rates of alcohol use disorders stay within the low-risk limits. Pace and space. When you do drink, pace yourself. Sip slowly. Have no more than one standard drinkwith alcohol per hour. Have "drink spacers"—make every other drink a non-alcoholic one, such as water, soda, or juice. Include food. Don't drink on an empty stomach. Eat some food so the alcohol will be absorbed into your system more slowly. Know your "no." You're likely to be offered a drink at times when you don't want one. Have a polite, convincing "no, thanks" ready. The faster you can say no to these offers, the less likely you are to give in. If you hesitate, it allows you time to think of excuses to go along.